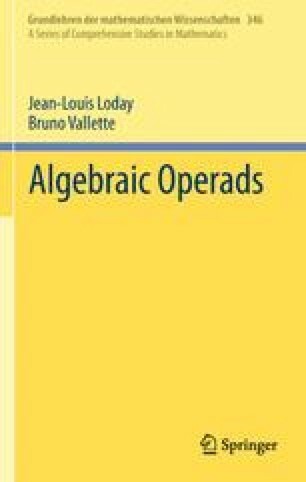 In this chapter, we first treat in detail the operad encoding the category of associative algebras along the lines of the preceding chapters. This is a particularly important example, because associative algebras are everywhere in mathematics, and because it will serve as a toy-model in the theory of operads. We prove that this operad is Koszul and we make explicit its Koszul dual and its Koszul resolution. In this way, we recover the notion of homotopy associative algebra introduced by Jim Stasheff. Finally, we give the Homotopy Transfer Theorem for this kind of algebras. For me it all begins with Poincaré.